There is Hope for Nigeria “If We Anchor on God”- Pastor Chris Oyakhilome. Nigeria is a nation that is stricken with hunger and poverty, but Pastor Chris Oyakhilome has some answers. With a population that is currently estimated at 198 million people, “it has overtaken India (1.3 billion people) as the country with the highest number of poor people in the world, Nigeria has over 87 million poor people (compared with India’s 73 million)”. In a recent church service held in the Christ Embassy premises of Effurun, Delta State, Pastor Chris addressed his people on the topic of Nigeria’s economic woes and current affairs. The service was celebrating the nation’s 58th year of independence. Pastor Chris Oyakhilome spoke to his community and assured them that their faith would continue to carry them through the most troublesome of times. As a beacon of the community, Pastor Chris constantly encourages his community. The man of God often shares his views on political affairs and serves, not only as a spiritual guide to his people, but also a light unto the nations through political and financial strife. This is certainly not the first time Pastor Chris has spoken on problematic current events. In a recent service, Pastor Chris Oyakhilome spoke on the problems riddling the people of Zimbabwe. The Christ Embassy president urged local leaders to hear their citizens. The address took place National Sports Stadium where thousands upon thousands were in attendance. “Your patience will be remembered,” he said. “As an educated country, you must deal with your differences in a highly cultivated manner, as you have always done so far,” the popular preacher stated. The Pastor stated that in Zimbabwe is dire need of a change of direction and strategy. “Change direction, change strategy. 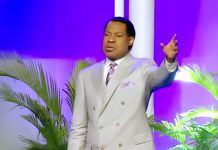 You are going somewhere, you are making progress, you will overcome the difficult times,” Pastor Chris said. The service that was held in the stadium was filled by thousands of people from diverse backgrounds. 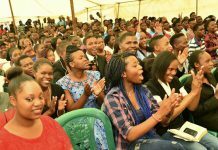 Pastor Chris said God had favored Zimbabwe for many years as the number of church minsters had skyrocketed in recent years. It seems that a spiritual revolution has been taking place in the hopeful nation. He stated “One of the things I thank God for is that this country has released so many ministers of God. It is a good sign,” he told the overjoyed crowd and promised to come back and spend time with his followers. 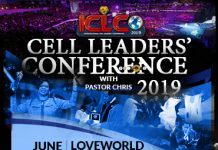 Pastor Chris has had a significant impact of several African countries and has spoken extensively on why he feels these countries suffer so greatly. The pastor has stated his worries on people seeking idols. Evil ideas are what is holding back development. This just goes to show the power of faith and the results of belief in God. This kind of dedication can transform not only an individual, but when applied correctly can transform an entire nation.